Andrew DeBenedictis, graduate student. Andrew is working on shape-order minimization problems, with a particular focus on liquid crystals in flexible geometries. Zhaoyu Xie, graduate student. Zhaoyu is looking at the interaction of curvature and packing to understand arrested coalescence in Pickering emulsions. Mat Giso, graduate student. Mat is studying the packing of particles with weak confinement, such as marbles in a curved bowl. Harper Hopkins, undergraduate Cottrell summer scholar. Harper is trying to understand the evolution and dynamics of social networks. Sydney Holway, undergraduate summer scholar. Sydney is building an experimental and theoretical model for clogging, a process where particulate media foul a channel under flow. 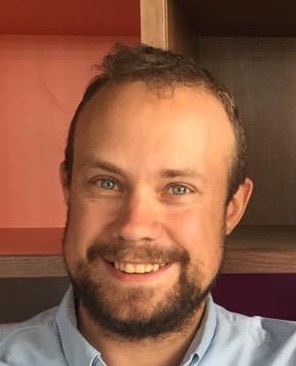 Chris Burke, graduate student (2011-2016). Chris’s thesis “Order and Jamming on Curved Surfaces” explored the relative influence of geometry, topology and dynamics in arrested relaxation of emulsion droplets. Badel Mbanga, postdoctoral scholar (2012-2014). Badel played a key role in getting the Soft Matter Theory group started, and worked on several projects, including packing spheres on curved surfaces, coalescing liquid crystal droplets and modeling liquid crystal elastomers. Andrew Mascioli (2015-2017) wrote a senior thesis on the packings of bidispersed droplets on spheres. He discovered a beautiful connection between crystalline packings formed by equal-sized particles and the highly disordered packings formed by particles of very different sizes. This work resulted in a publication available on ArXiv. Ian Hunter (2015-2016) wrote a senior thesis on modeling the shape of soft solids under mechanical deformation. He also performed foundational work on active matter on deformable surfaces. 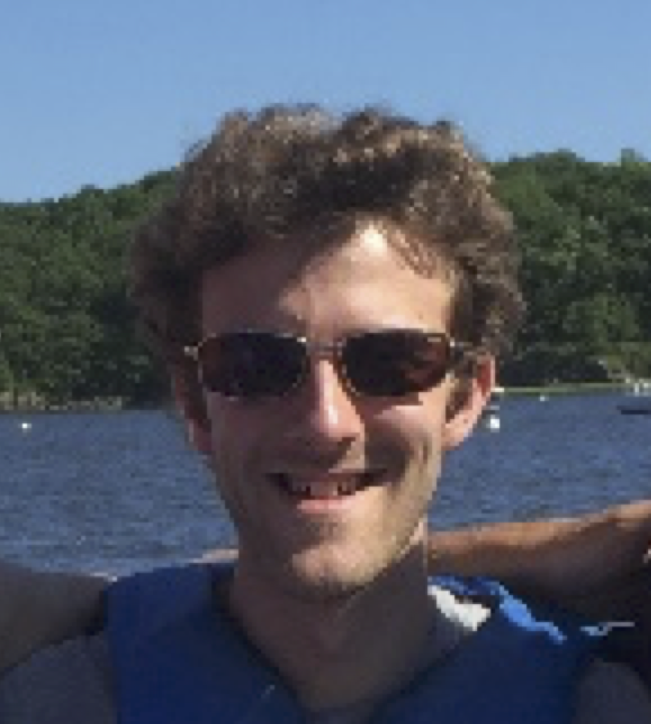 Avram Ellner (2016) worked on understanding how surface topography can control neuronal growth in collaboration with Cristian Staii’s group at Tufts. Chase Crumbaugh (2015-2016) worked on using the computer’s Graphical Processing Unit (GPU) to accelerate the performance of shape minimization problems. Kate Voorhes (2012-2014) worked with Badel Mbanga on simulating defect textures on relaxing nematic shells, which was published in Physical Review E.
Beau Coker (2011-2013) completed his undergraduate Senior thesis on “Do Physical Analogues of Stock Market Crashes make sense?”, using some of the statistical mechanics ideas that underpin soft matter physics to better understand stock market crashes. His thesis was awarded highest honors and Beau graduates summer 2013. Dan Fortunato (2012-2013) worked on a project using ideas from graph theory and big data to look at how researchers at Tufts are collaborating by finding papers with common authorship from the PubMed database. Sawyer Bernath (2011-2012) graduated from Tufts Physics in Summer 2012, having worked on a collaborative project between the Soft Matter Theory group and Cristian Staii’s biophysics group in developing a model for neuronal growth. Sawyer presented this work as a poster at the APS March meeting 2012.